January kicks off resolution season, the beginning of a new year, and time for a fresh start. It is also National Mentoring Month, something that is particularly special to me. I would not be where I am today without the guidance and mentorship of people who taught me everything from how to run a business to the importance of giving back. National Mentoring Month was established to focus on the need for mentors in multiple industries and celebrates the positive effect it can have on the next generation. I recently wrote about this topic for Franchising World Magazine’s January issue. The next generation, particularly millennials, will be leading businesses in the future, and it is up to current leaders to ensure that they receive the proper guidance towards their success. Millennials offer a fresh perspective to franchising, with nearly 72 percent expressing an interest in becoming their own boss – what better avenue is there than franchising? The model allows a young entrepreneur to build their own business with a secure system backing them. But, if millennials do not immediately think of franchising when looking at career options, it is up to us to guide them there. This next generation values the experience and expertise that a mentor can bring them. 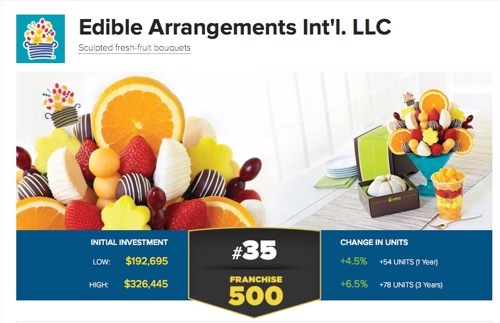 There are countless options to seek out that guidance, including the International Franchise Association’s (IFA) NextGen program, which offers resources to prepare the next group of franchisees and entrepreneurs. I have personally been a part of the amazing work NextGen does and have seen it reward hard-working young entrepreneurs who truly deserve it. During National Mentoring Month, I encourage you to offer your own expertise and advice to the next generation and help prepare them to lead.